« An Idea Whose Time Has Come? 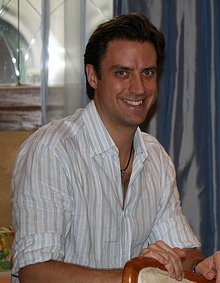 Andreas Oscarsson, founder of PokerListings.com. He was the first guy I met (at the 2005 WSOP) who taught me that not all affiliate-based “shill sites” were inherently bad. 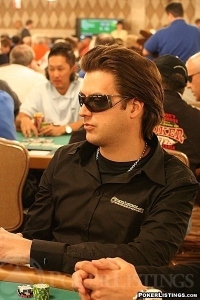 As a co-founder of PokerListings.com, Andreas Oscarsson helped build a company that not only has been extremely profitable by funneling online players to major poker sites, but also has shown a commitment to solid, informative, and entertaining poker news reporting, tournament coverage, and reader service. Oscarsson cashed out of the full-time poker website biz two years ago — opting instead for more family time after the birth of his son — but remained an emeritus figure on the PL team, serving as an advisor and sometimes more. He was 36. Several relatives, including the 2-year-old boy, were in the house where the man was found dead on Tuesday afternoon, Thord Haraldsson, head of the police anti-crime unit in TrollhÃ¤ttan, told news agency TT. None of the man’s family members are suspected of being involved in the murder, however. The man moved to the United States ten years ago but originally came from TrollhÃ¤ttan and had been on holiday in Sweden when he was shot dead, Aftonbladet reports. He had planned to leave Sweden on Tuesday. “A forensics investigation has been conducted at the scene and a preliminary investigation has indicated murder or manslaughter,” said Robert Edh, commander of the police communication centre in Gothenburg. Wow. Sad. Wow. It’s sometimes about way more than just poker. Awful news. Please release more details when you get them. I can’t believe it! I met Andreas in 2004 at the Caribbean Poker Classic, and had spoken to him several times a year since then. He was well liked in the industry, and why someone would want to kill him is beyond me. It is a real tragedy, and my heart goes out to his family. Sadly, I have a feeling his success might have had something to do with it. Even though the stats are from 2004 – 5 years later im sure its around the same numbers. and why is that, RJ? did he do something to you on par with, you know, being shot to death?